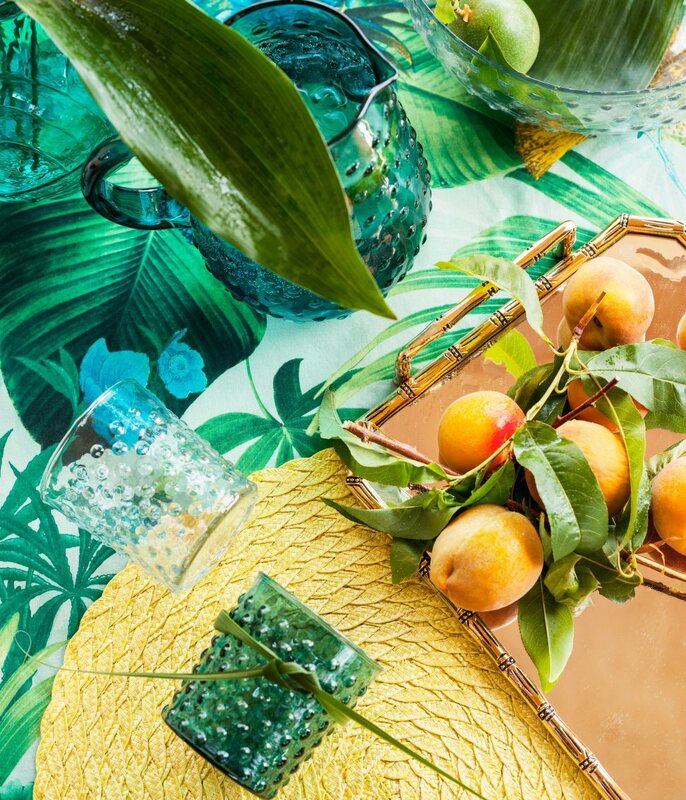 Ah, tropical style! 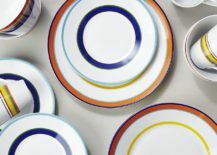 You re-emerged several years ago, and we’re delighted that you’re still going strong. 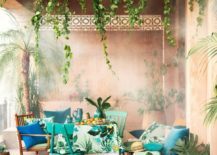 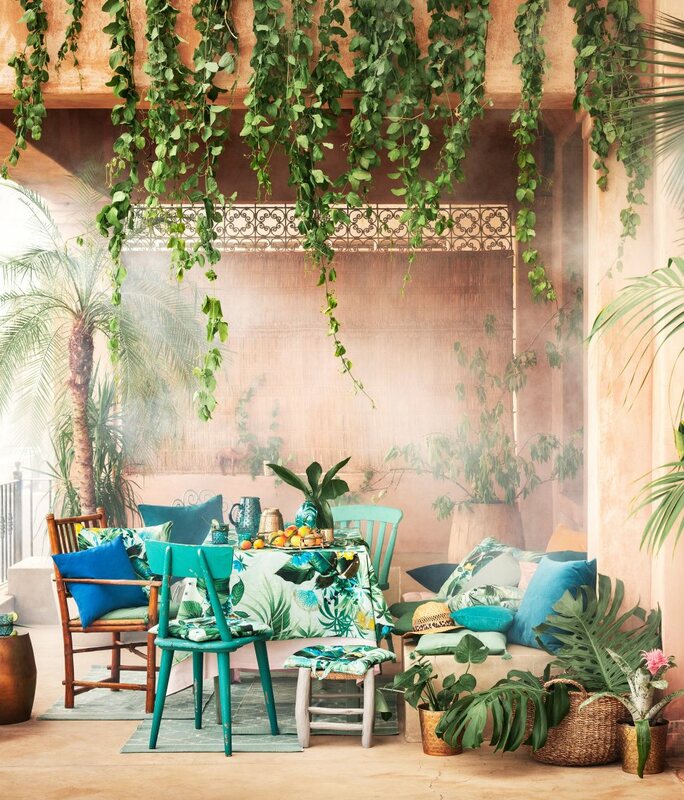 This season it’s all about layering lush shades of green, and throwing in textiles that feature tropical plants. 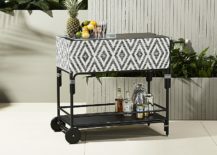 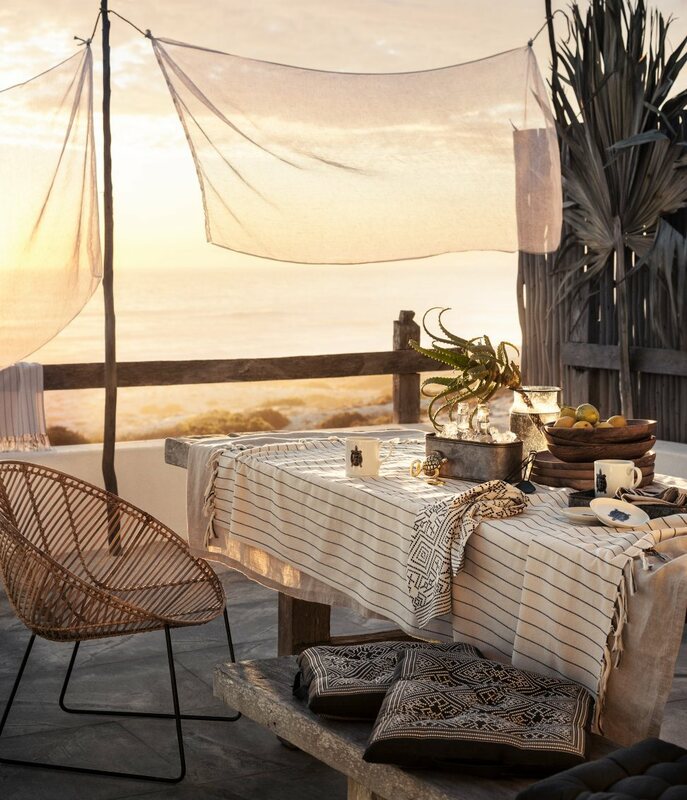 With the help of tabletop treasures from CB2, beachy style can be yours! 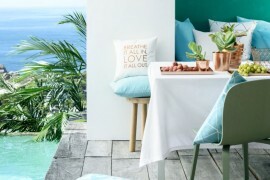 Above and below we see the Riviera Table Runner, along with Crisp Dinnerware in blue-green, seafoam and chartreuse. 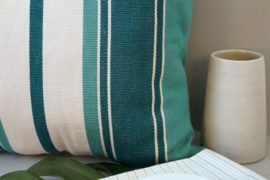 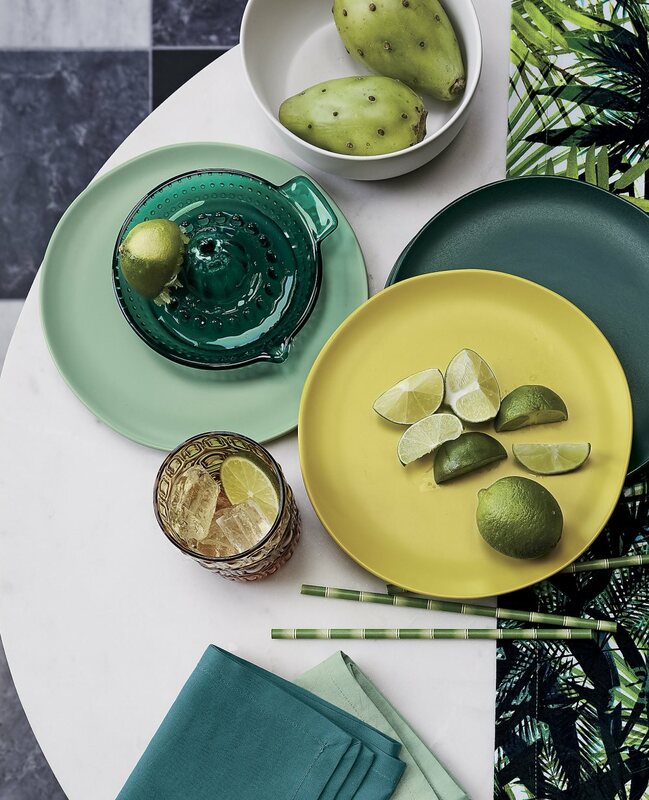 Don’t be afraid to combine a range of green tones, which will add depth (and even a sense of tropical decadence). 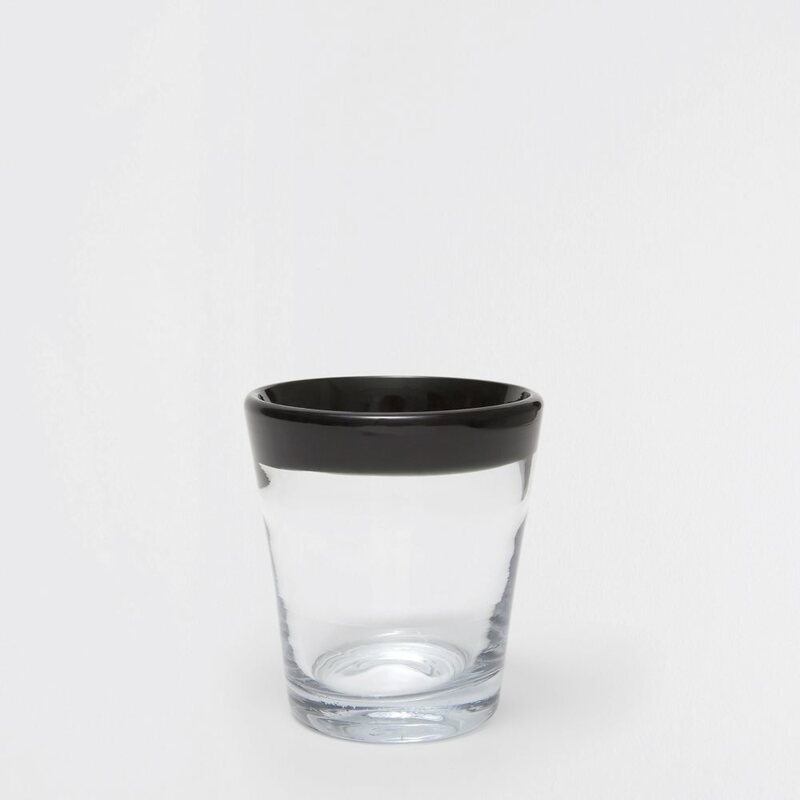 Also available from H&M Home: a range of textured glass products, such as the pitcher and tumblers below. 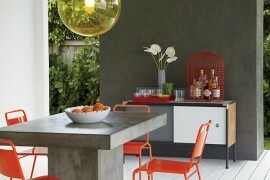 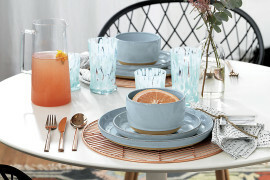 If your tabletop is covered in green, don’t hesitate to use orange as an accent color. 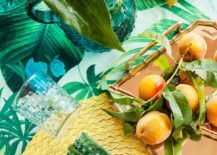 A bowl of fruit such as peaches or tangerines will do the trick! 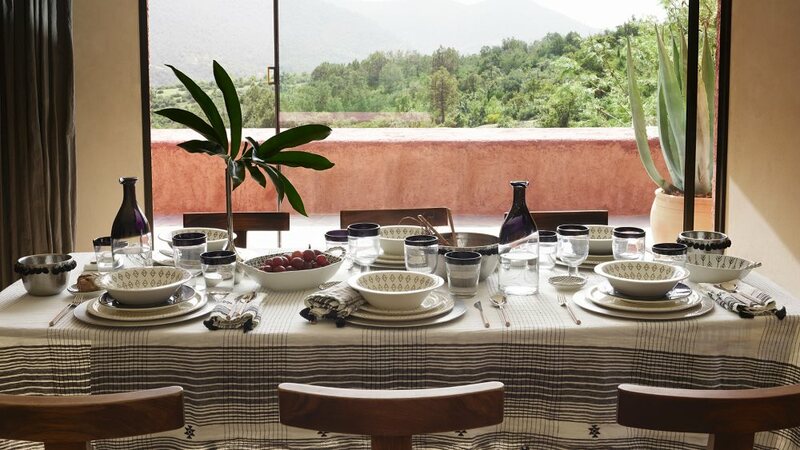 Black and white is a classic combination, but when showcased in earthy patterns, it takes a wonderfully breezy turn. 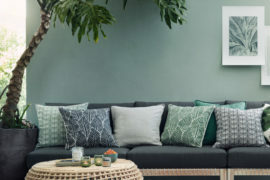 Zara Home is leading the pack this season when it comes to this laid-back style, which happens to work with any paint color that covers your walls! 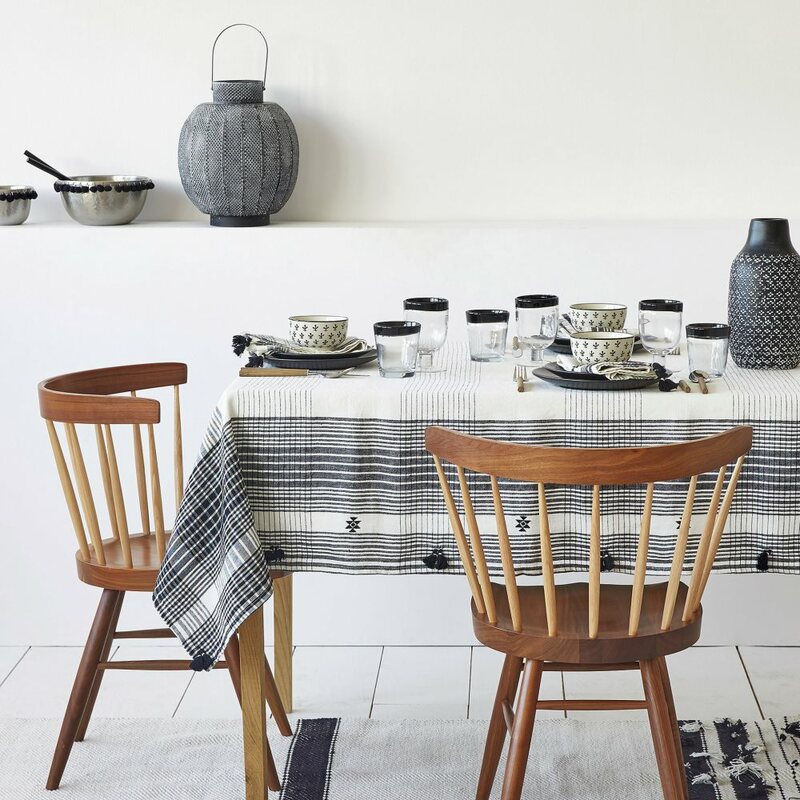 Start with linen textiles, like the Checked Linen Tablecloth featured above and below. 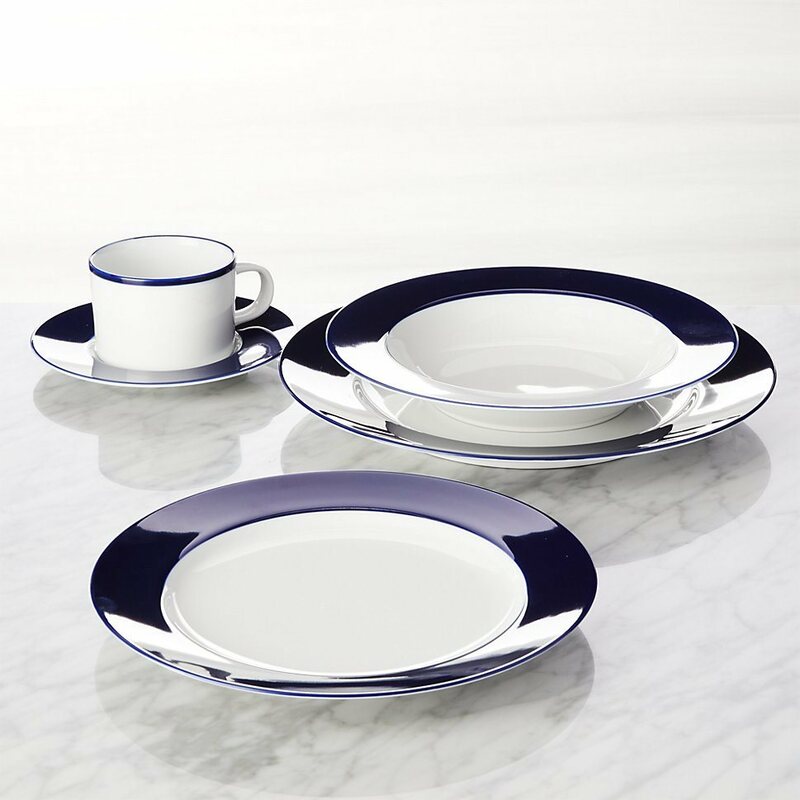 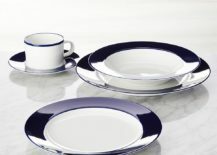 Today’s final featured tabletop trend is the beauty of blue and white. 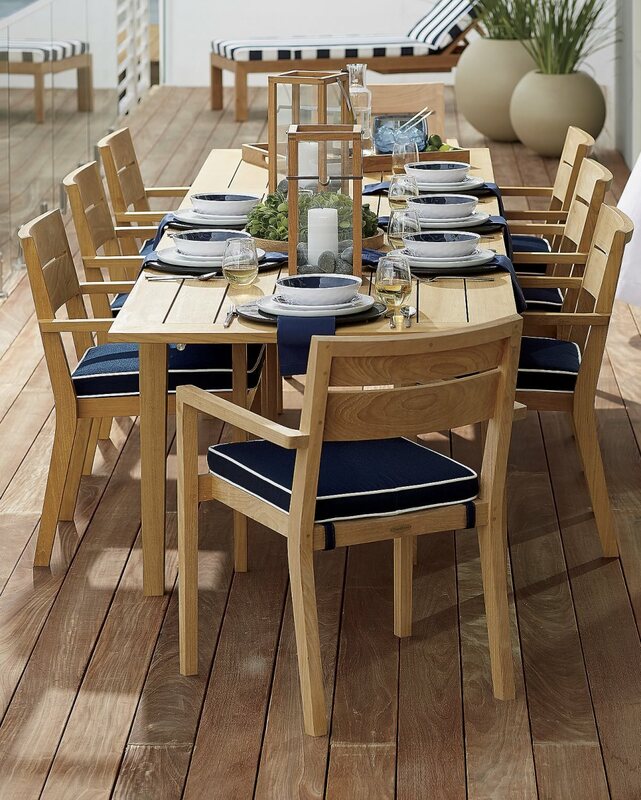 It’s crisp, it’s summery, and it makes a refreshing statement. 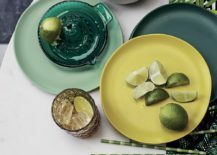 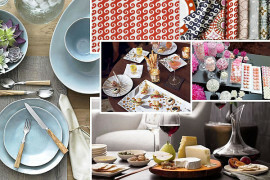 Crate & Barrel is packing their spring offerings with blue and white dinnerware for both indoor and outdoor entertaining. 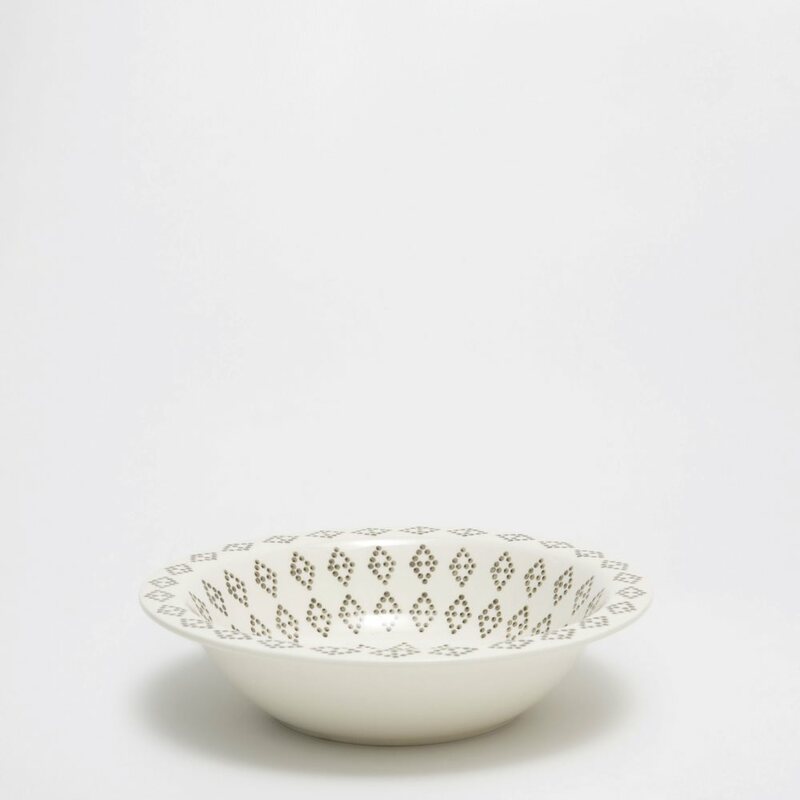 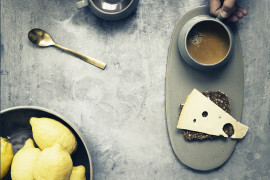 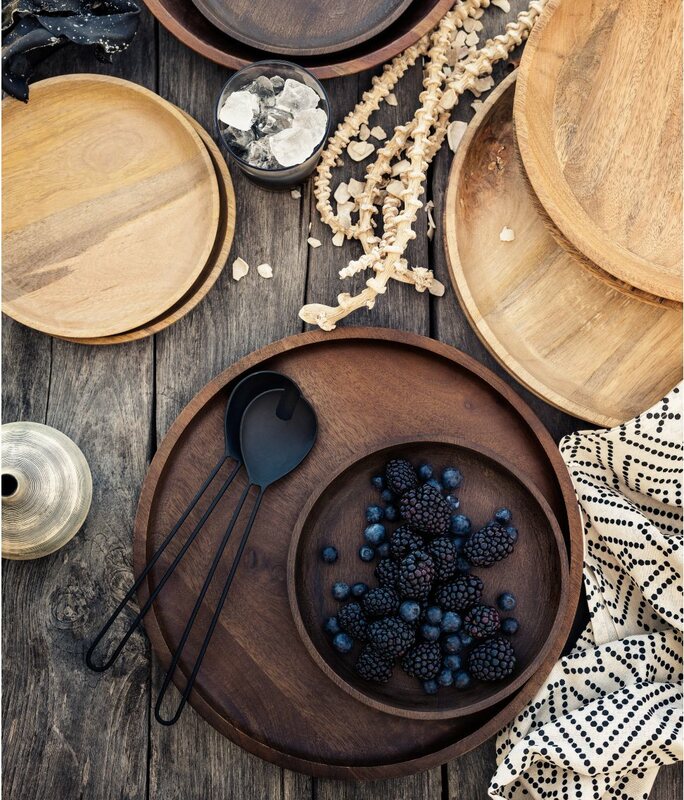 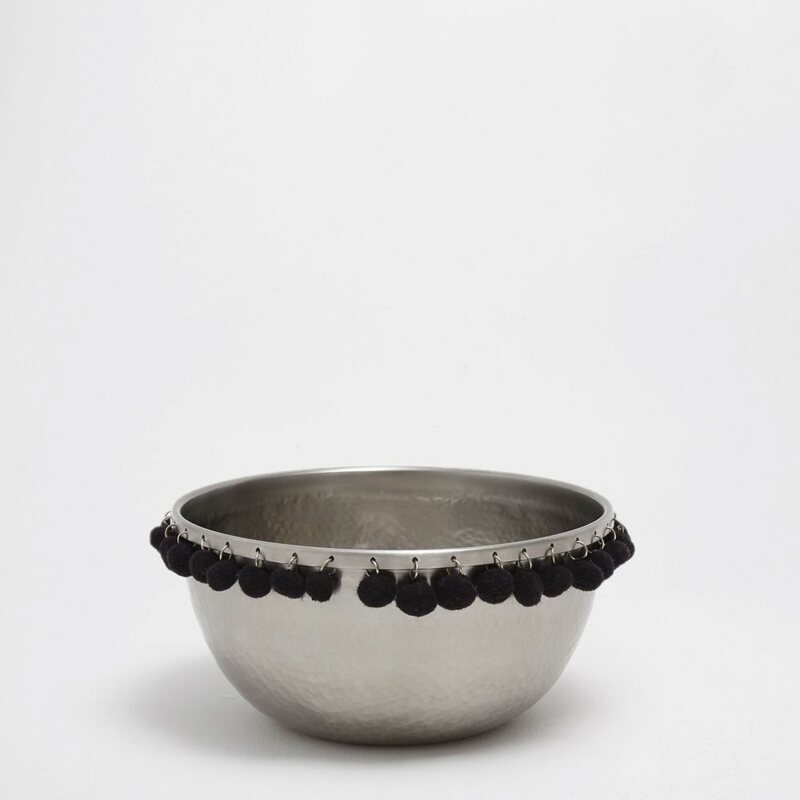 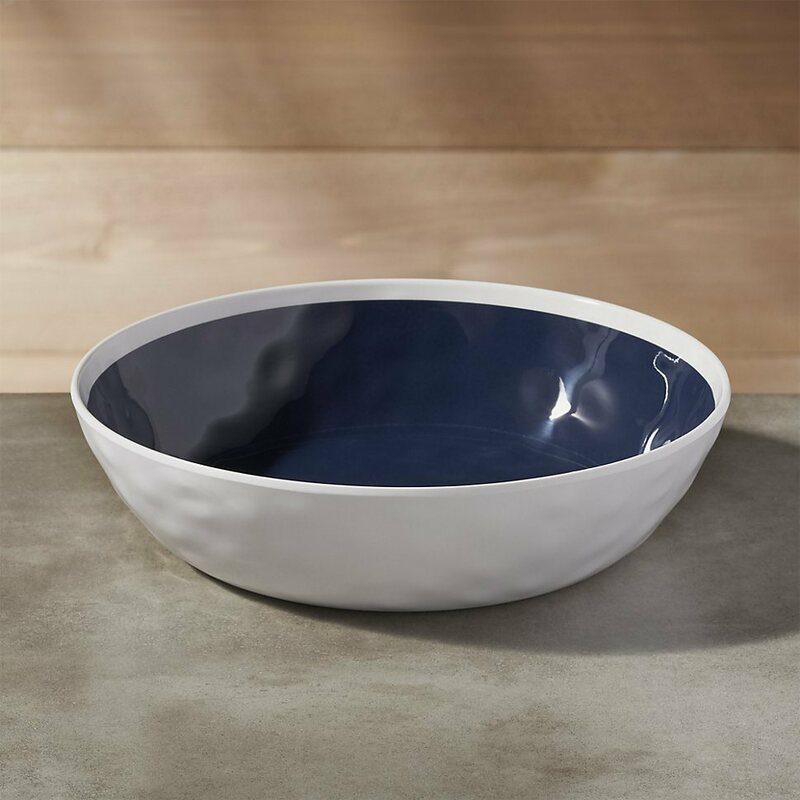 This Regatta Melamine Bowl is perfect against a backdrop of concrete and wood. 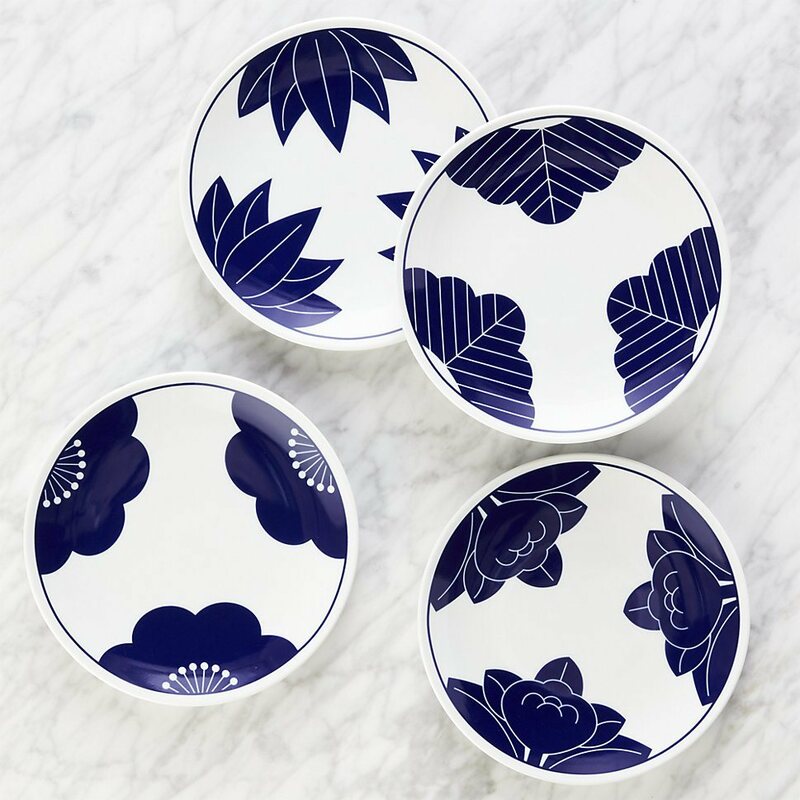 Yes, blue and white can take a modern turn, especially when clean lines are involved. 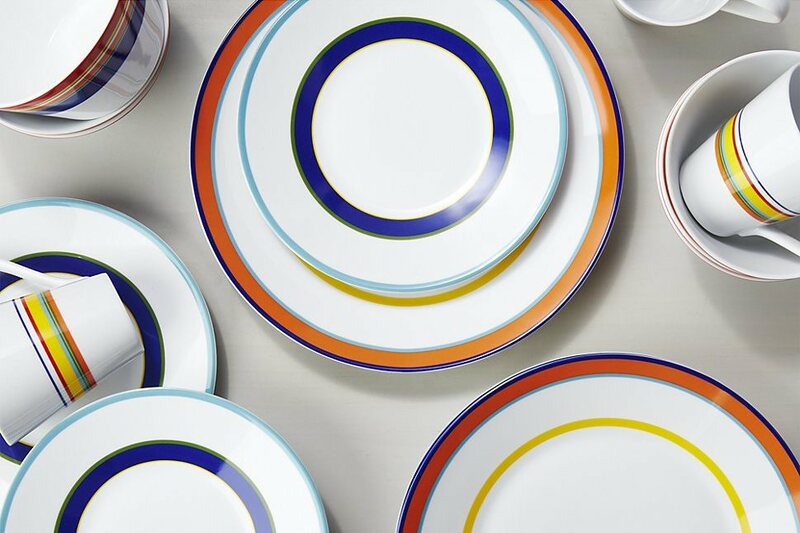 You can’t go wrong with stripes! 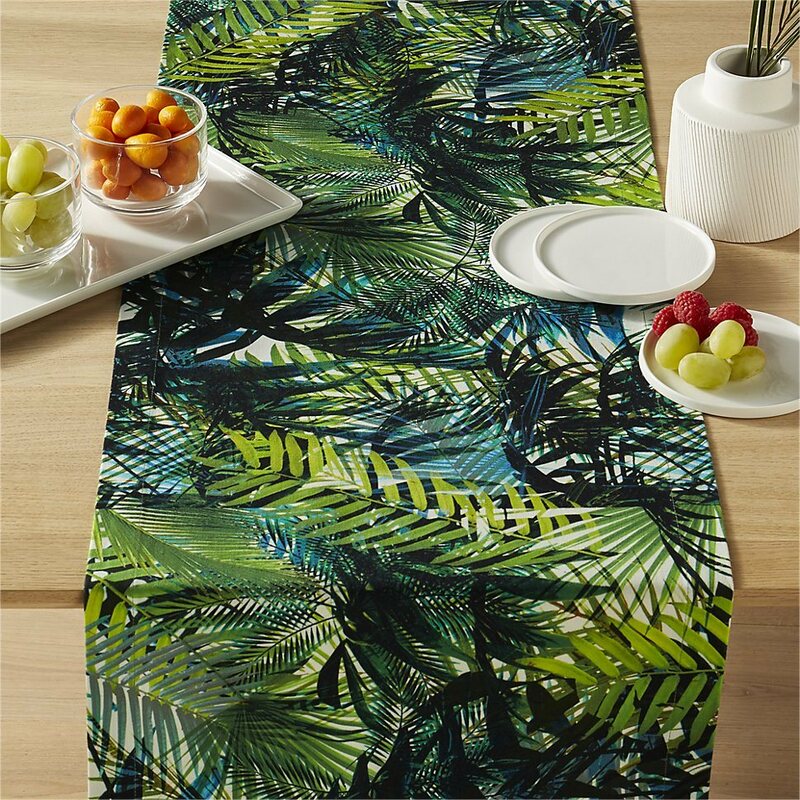 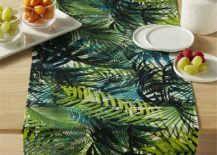 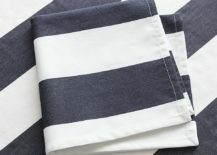 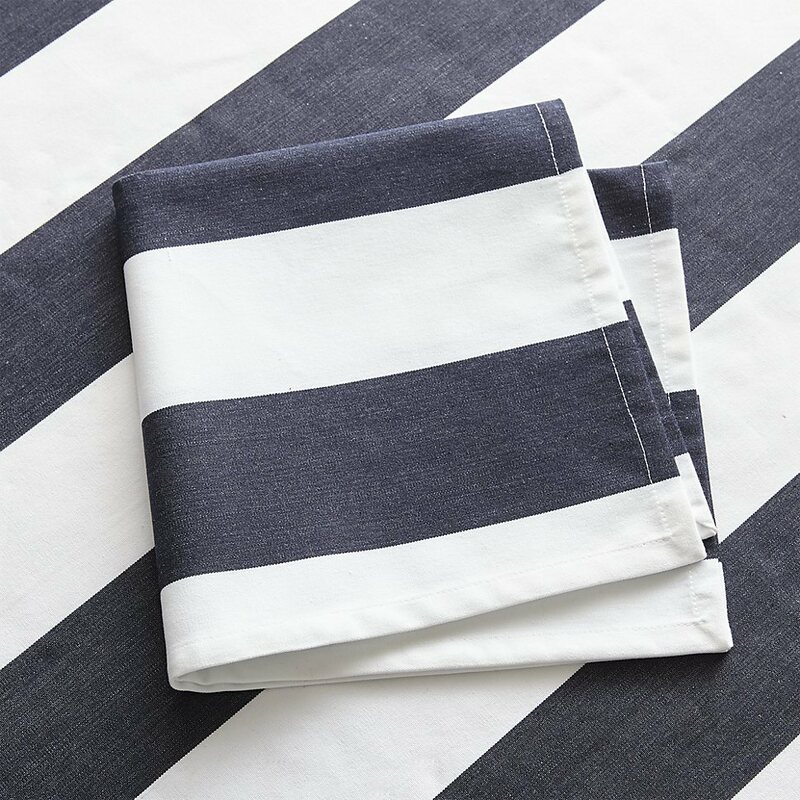 Crate & Barrel’s Cabana Navy Stripe Dinner Napkin is the epitome of summer style. 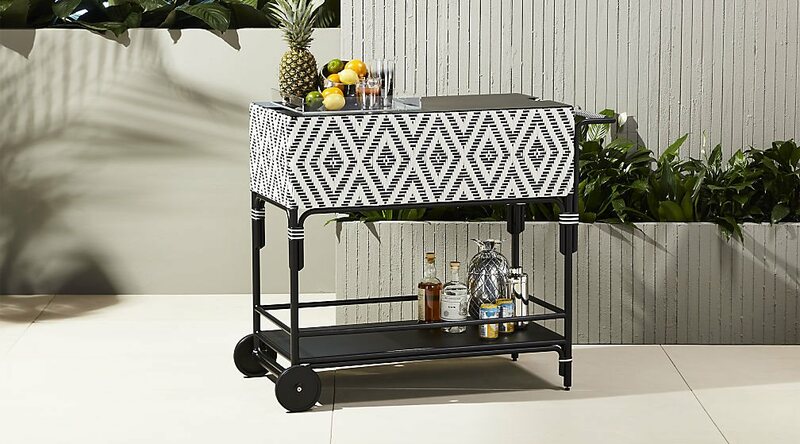 Hence the “cabana” in the product title. 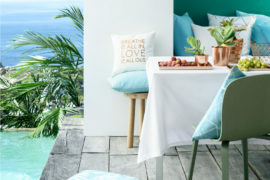 We’re loving it!